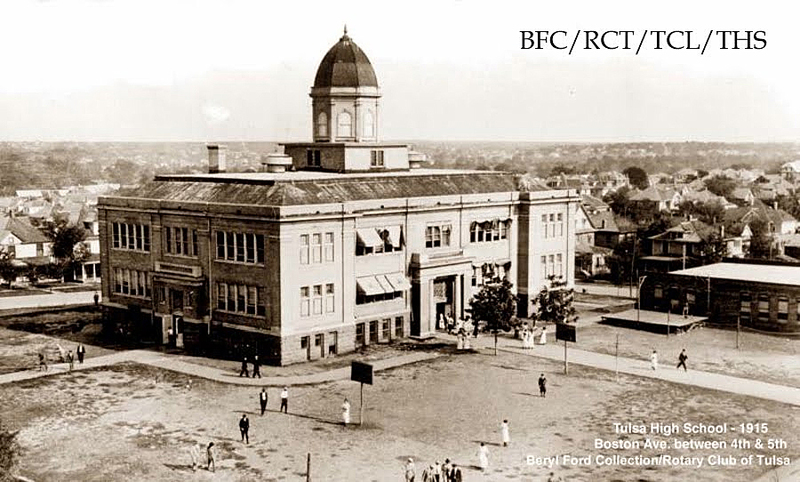 Exciting New Tulsa History Links! First up is the 1910 City Directory- pretty cool, huh? The 1920 directory will be added soon. And second is the entire Tulsa World newspapers for the year 1920; 1921 is almost completed as well. Sheri says that a portion of 1921 is also available online, too. Thank you Tulsa County Library! p.s. Beginning May 1st admission will no longer be free at the museum. Become a member and enjoy the many benefits including admission, gift shop discounts and more. Before the town of Tulsa was incorporated there was no official fire department and thus, no fire equipment. 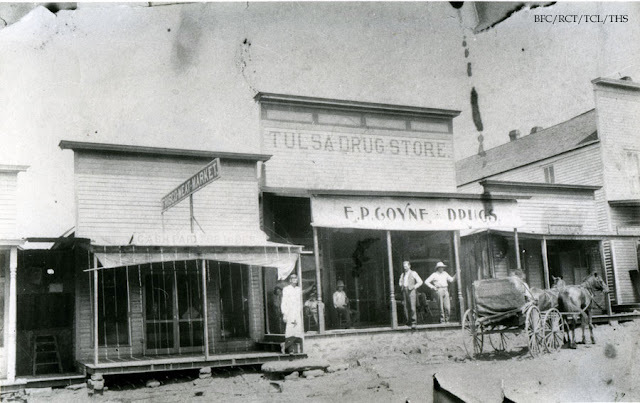 It is noted in several Tulsa history books that if one heard gunshots fired repeatedly, it meant there was a fire because no shop owner was that bad of a shot. All available citizens rushed to the scene carrying a bucket and formed a line, creating a bucket brigade from the water well located just north of the Lynch store. 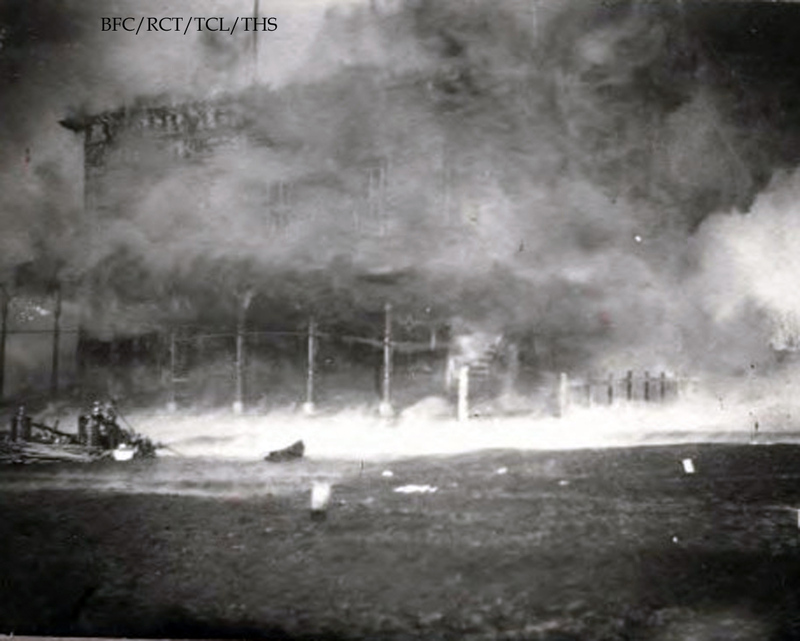 Passing the buckets of water proved inept most of the time unless the fire was caught early. A fire that started in the middle of the night could be deadly. 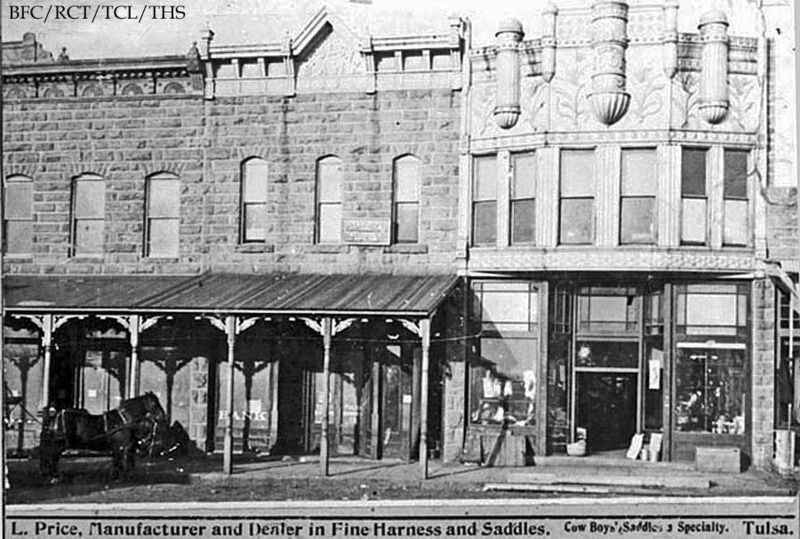 Main Street Tulsa was mostly wooden structures with the exception of the Lynch Store, the Bank and the striking Price-Gillette store. You can see from the roof-lines the three different buildings in this advertisement from 1895. 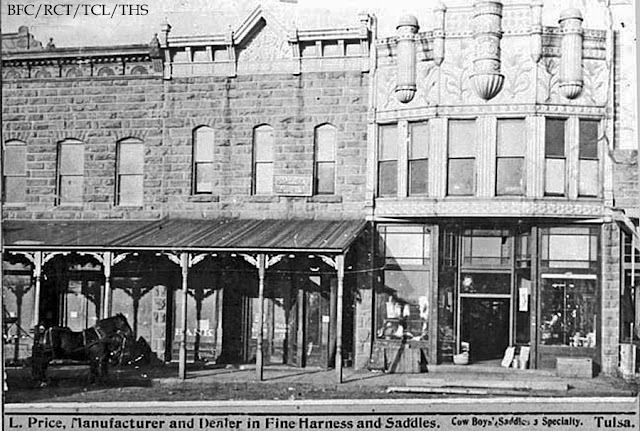 Price sold saddles and Gillette had a general store. 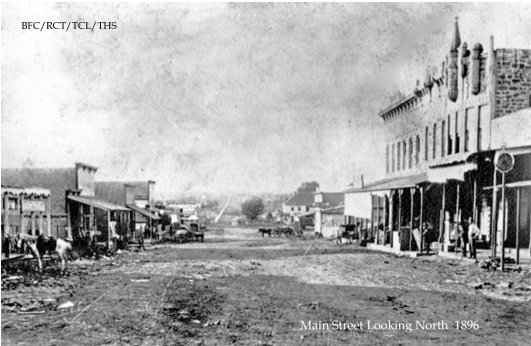 On down the street from these three buildings were other businesses including Scott's Store and the Commercial Hotel that was above the store, the Frisco Meat Market and Mr. Goyne's Drug Store. It is believed that a leaky shipment of kerosene in the Gillette Store caused the massive fire that broke out in the pre-dawn hours on December, 1887. These photos were captured as the roaring fire destroyed nearly half of the little town that night. In the early dawn, the only building left standing on that side of the street unscathed was the Lynch Building. 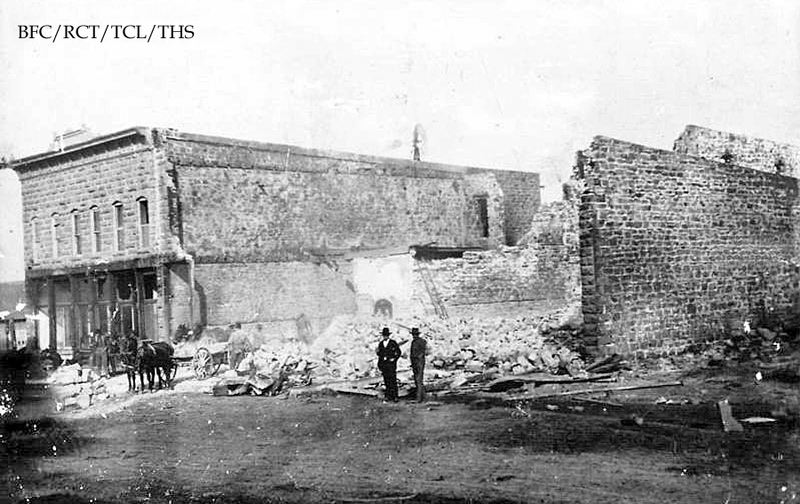 Somehow the bank's vault survived as well, so it was moved across the street to the Hall Store and business was carried on as usual until the bank rebuilt. It is unknown if any were injured in this fire. 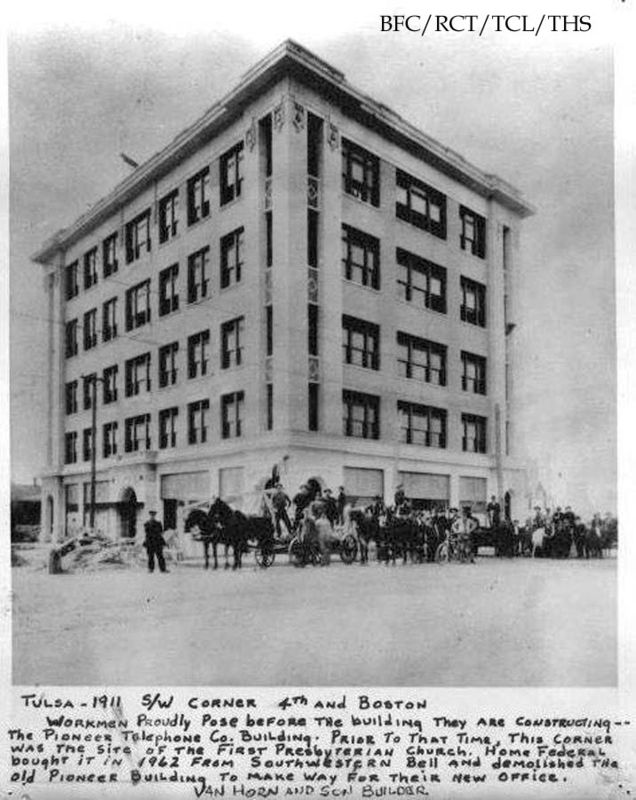 One month later the city was incorporated and two years later Tulsa had a fine fire department. In this photo from the 1940’s we see the old Lynch building on the left (it was, by then, the Lyric Theatre) and the next building that the bank built, then a hardware store. 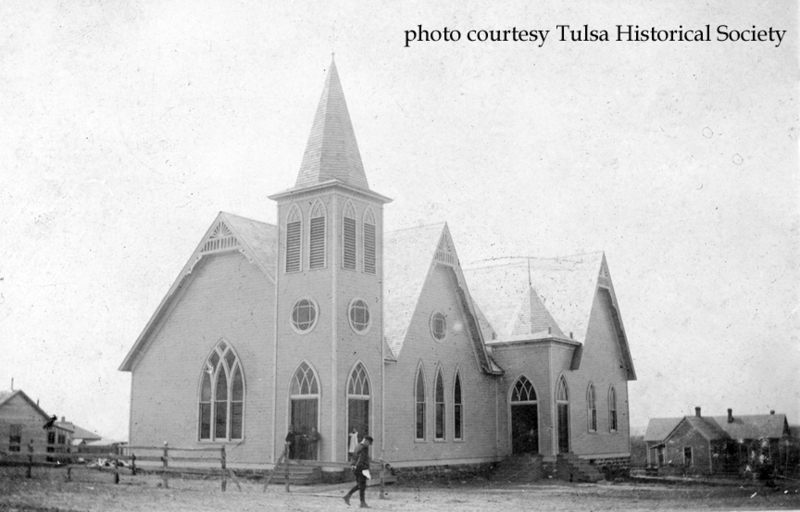 Tulsa's first church was also it's first school. Or, is it the other way around? That's sort of like the chicken and the egg question. 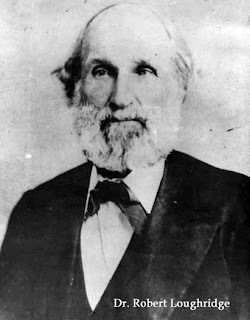 One of Tulsa's founders, J.M. 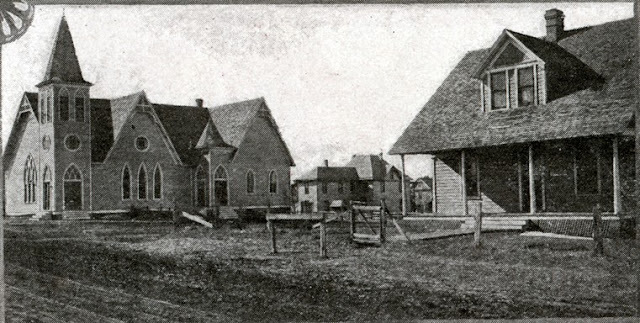 Hall, helped facilitate the growth of churches in the new little town, beginning with the first Sunday School which was organized in 1883 by the wife of a railroad carpenter, Mrs. Slater. One day she invited Dr. Booker and Mr. Hall to her tent (she and her husband lived on railroad property near the Frisco section house) to discuss organizing plans for religious meetings. With all three of them being of different denominations, they decided to call it the Union Sunday School. There were only 4 or 5 children present at the first meeting but it was a start. Mrs. Slater and her husband moved on with the railroad so Hall and Booker carried on. With no minister available, Hall served as a lay minister preaching to his pioneer friends in their tents, homes or on the porch of his store. 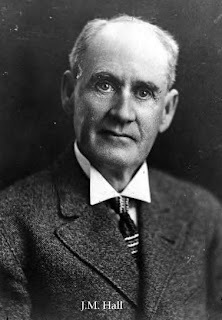 In August of 1883 Presbyterian missionary Dr. Loughridge, prevailed upon by Hall, came to the little town to preach the first official sermon. 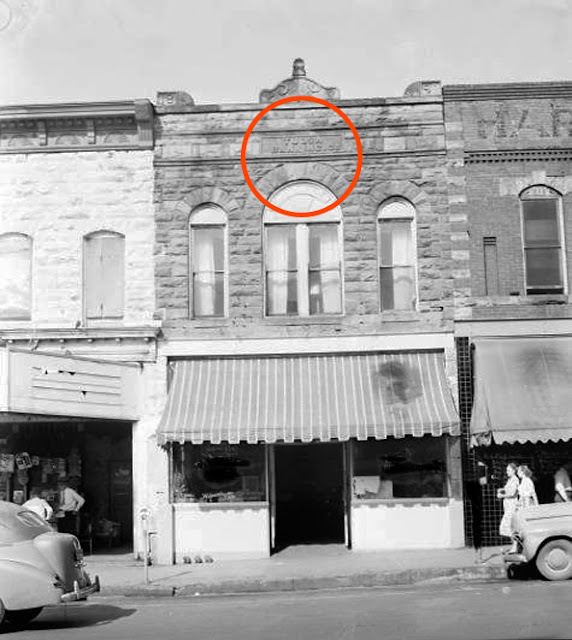 Hall carried lumber from his lumberyard behind his store around to the 12x30 front porch using every keg, bucket or plank in which to make benches from. Only a handful of the 100 or so town citizens showed up. As the minister stood on the porch and delivered the sermon, he soon found his self having to talk louder and louder to be heard. 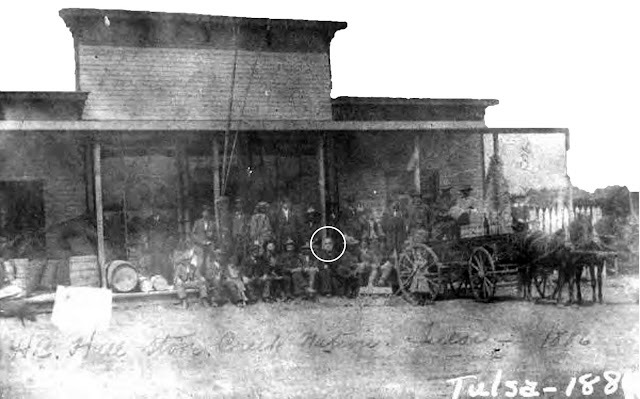 The professional gamblers who had followed the Frisco RR into Tulsa, together with the outlaws here, were in nearby tents and at gambling tables that had been moved outside to avoid the heat. Their jeering at times was loud. In the summer of 1883 a drifter came into town claiming to be a schoolteacher. Eager parents hired him only to learn shortly after school began that he, too, was a gambler. He was fired and left town. However the folks realized that the need for a school was still strong. Hall contacted a missionary named Rev. 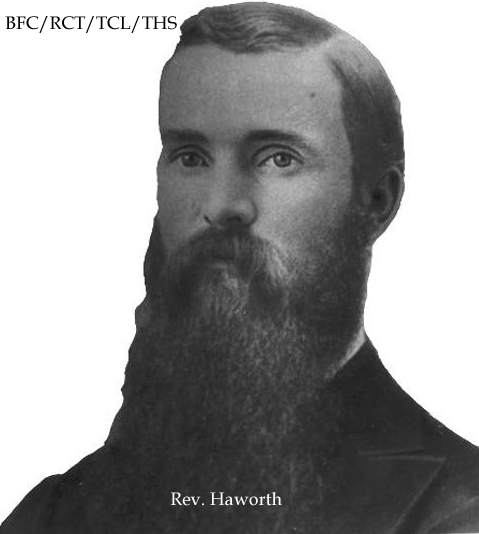 William Haworth who was largely supported by the Presbyterian Mission Board to ask for advice. 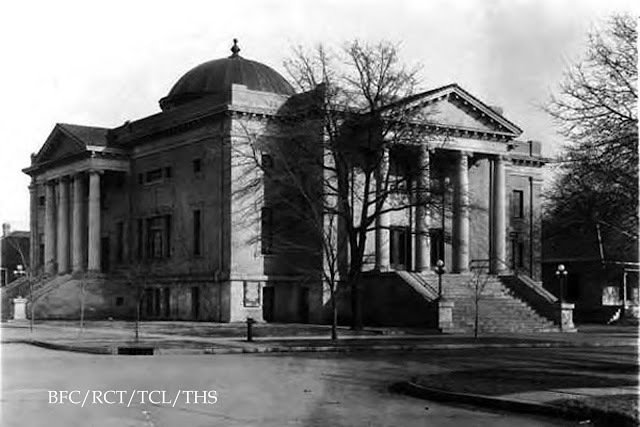 After Haworth reported to the Mission Board that there were no churches or schools and many children living here, the board authorized the building of a school that would also be used for church services if Tulsans would subscribe what funds they could toward the cost. The board also agreed to furnish two teachers, paying all of their salaries and most of the salary of a minister. The pioneers selected a school site on a hilltop far removed from the few buildings and little box-like homes and tents by the railroad. It was a stubble-covered hill standing alone in the wilderness. The location is now known as the southeast corner of Boston at Fourth Street. 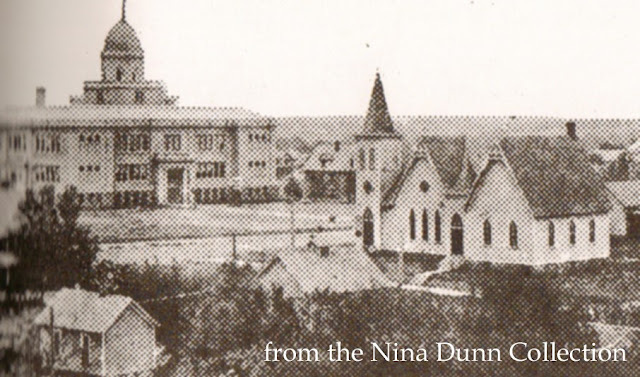 Construction began in the summer of 1884. 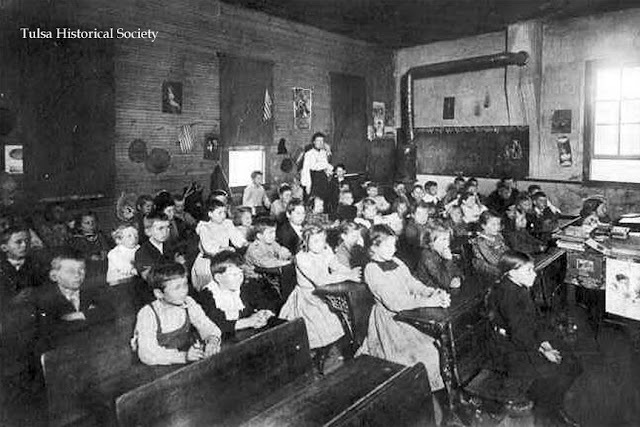 During the building phase, the minister's wife and Miss Ida Stephens began teaching classes in their homes. Haworth also continued holding services on the porch of Hall's store. 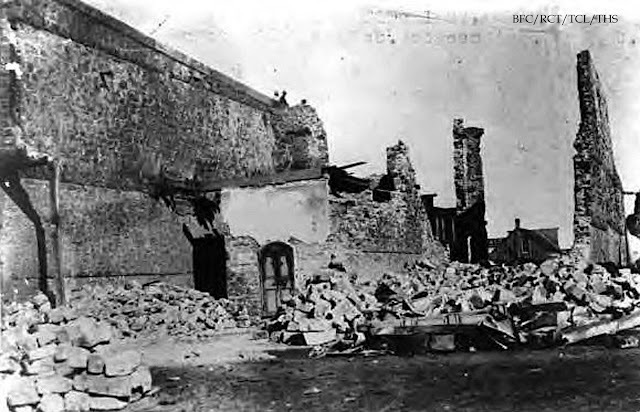 The building was finished and opened immediately in the fall of 1884. Honestly, it is doubtful that any building was more important in Tulsa's history. Aside from it's urgent need providing education services, it was also the first public building and the endeavor of building it helped fuse the little community together and forge ahead with making this town stay and grow. The little mission was used for many other things including other denominations using it while organizing their churches. It became a community building and so much more. The First Presbyterian Church was organized on October 5, 1885. In 12 short years the church outgrew it's little mission building as did the needs of the Tulsa children, even with the addition of another story to the little building. With the town being incorporated in 1898 a public school system was needed so the church began building their first church (that wasn't related to a school) across the street on the southwest corner of Boston and Fourth. 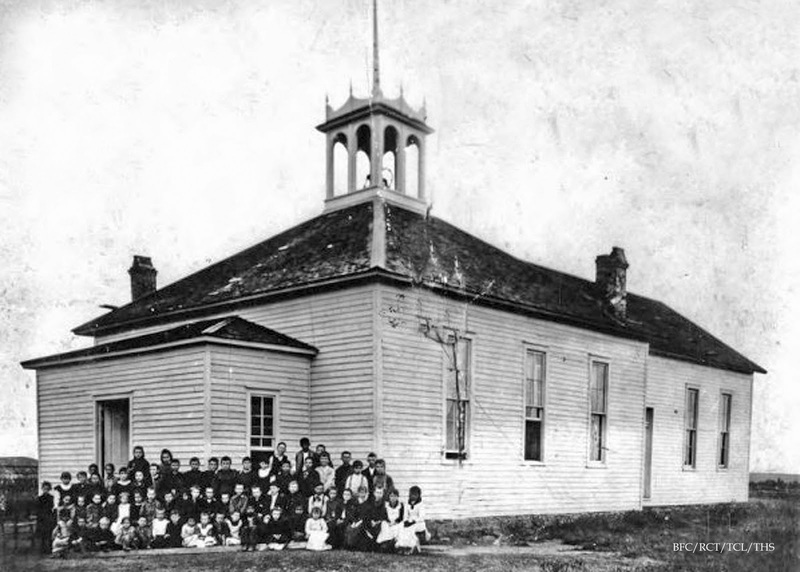 The Home Mission Board wanted the property that the little Mission school was on to be sold to the city at a nominal price with the understanding that it would become the site of nondenominational public school buildings. Tulsa was growing fast and the value of real estate was beginning to be recognized. Private parties tried very hard to buy the school land to hold for speculation. In an act that dramatically affected the growth of Tulsa's schools, four of Tulsa's leaders stepped in and bought the school property to hold until city taxes could be raised to reimburse them. J.M. Hall, Jay Forsythe, R.N. 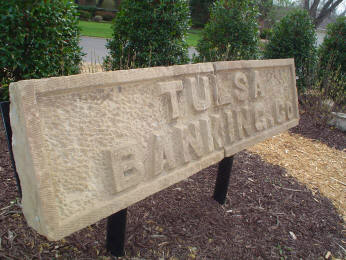 Bynum and Joe Price borrowed $1050 from the Tulsa Banking Company and bought the property from the Mission Board. It was in 1902 that enough taxes were raised to pay back the investors who then signed over the land to the city, giving Tulsa it's first piece of public school property. First Presbyterian Church also continued to grow rapidly with the discovery of oil and, in 1911, they built another new church down the street at 7th and Boston. The former land was sold and became the Pioneer Telephone Company's building. 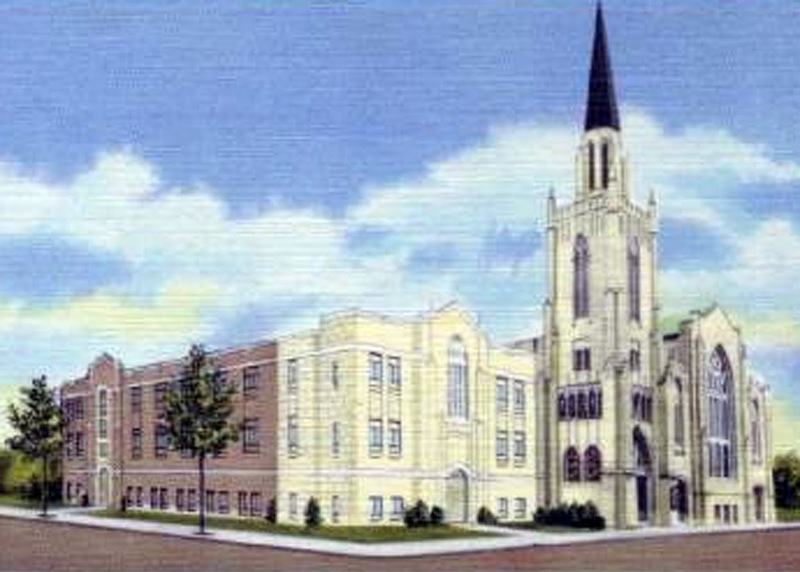 In 1924 the membership of the church increased to 2,200 and a new sanctuary was built next to the original building which was then used as classrooms. 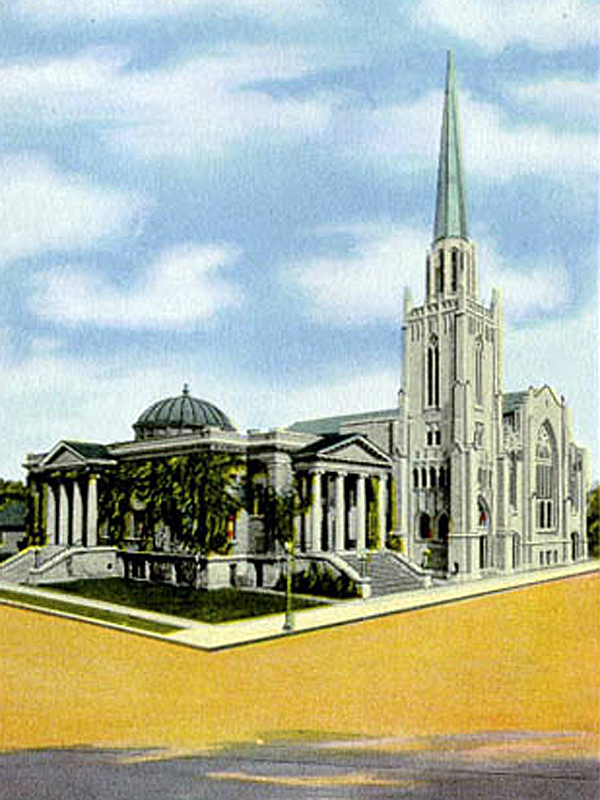 That building was torn down and replaced with the Kerr Memorial Chapel and Educational Building, dedicated in 1954 as a monument to Dr. Kerr and a link to the past- the pioneers who never gave up.